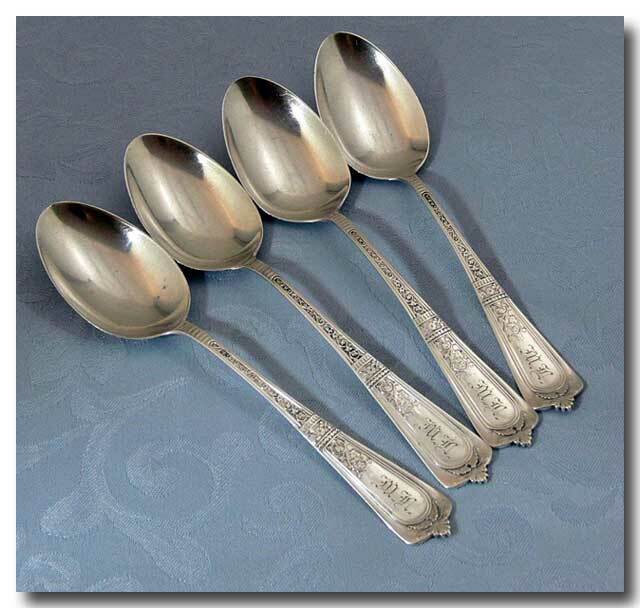 4 beautiful sterling teaspoons in the Domestic pattern by Gorham. The spoons are in very good condition with light usage marks. Monogrammed. Please see additional photos. The spoons would make a great addition to any collection. Approx size: 5 ¾ inches long.